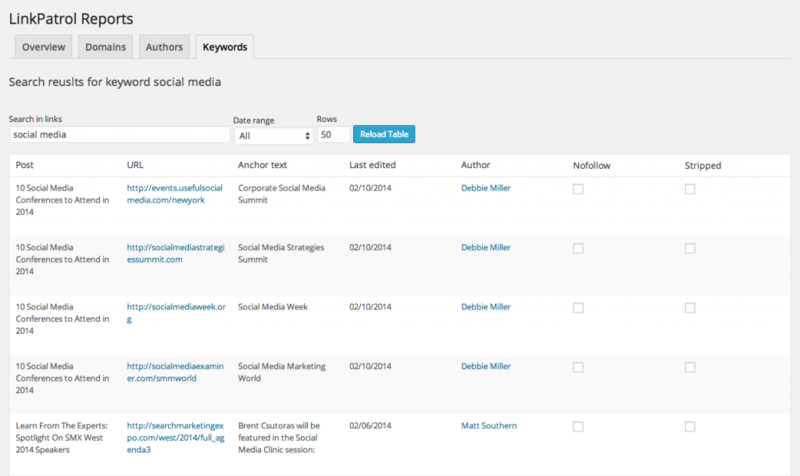 Keyword Search allows you to search your links’ anchor text and generate reports with links that contain a keyword. For each link you can see post it s in, anchor text and URL, when the post was last edited and post author. You can also nofollow or strip a link, or multiple links directly from this report.